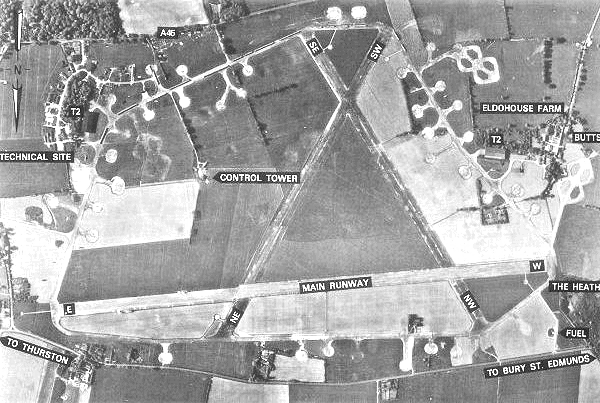 General Blog today just a few things I got up to. 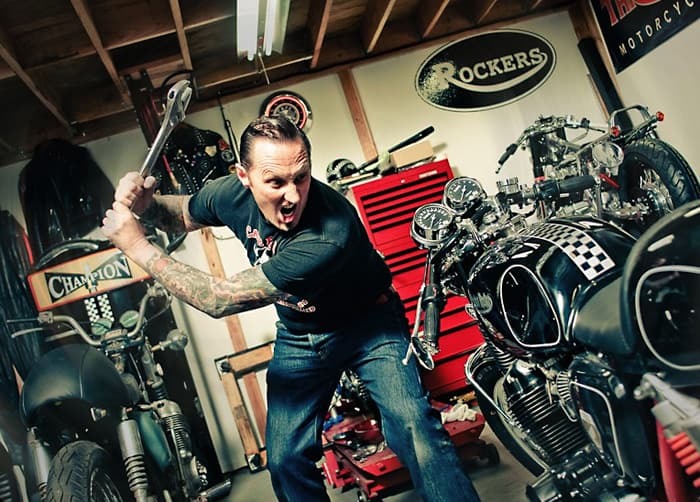 How is everyone now that is is Hump Day? I try and do different things every day to make the week go by a little easier, every now and again I will attach the Phone to my bike and have a chinwag as I ride locally, just to keep some of you in the loop, but thats mostly on Face Book and Instagram etc, but thought I would add the odd rant or rave or just a little chin wag as and when things crop up and I feel the need to talk about it. 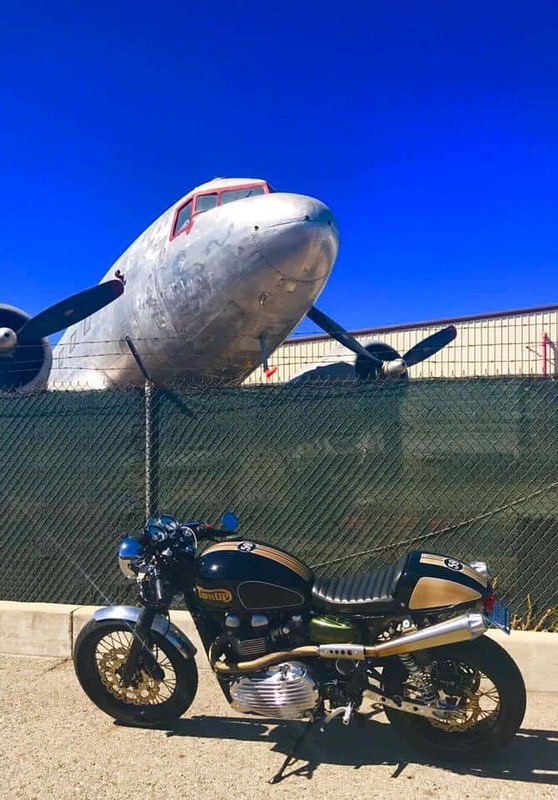 It may not be interesting for you but some people like to know what I get up to during the week, or what is on my mind, and this is a good way of showing what makes me tick. 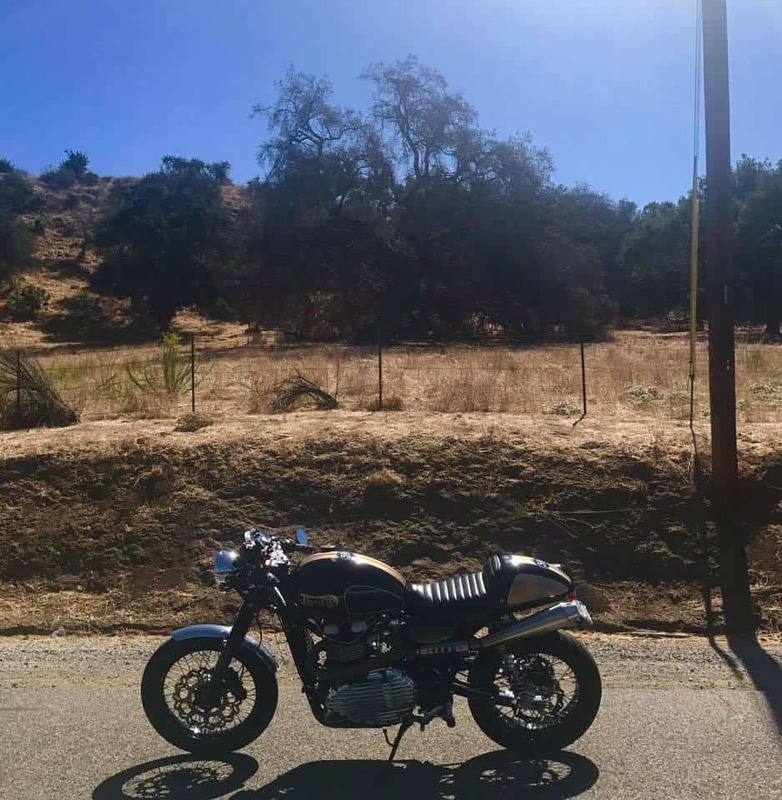 I took the Thruxton out for a test ride as I fitted New Rear Brake pads, the old ones were getting low and I have a squeal that I hate when I brake on the bike, I personally believe its the Rotor but changed brakes and still the same. 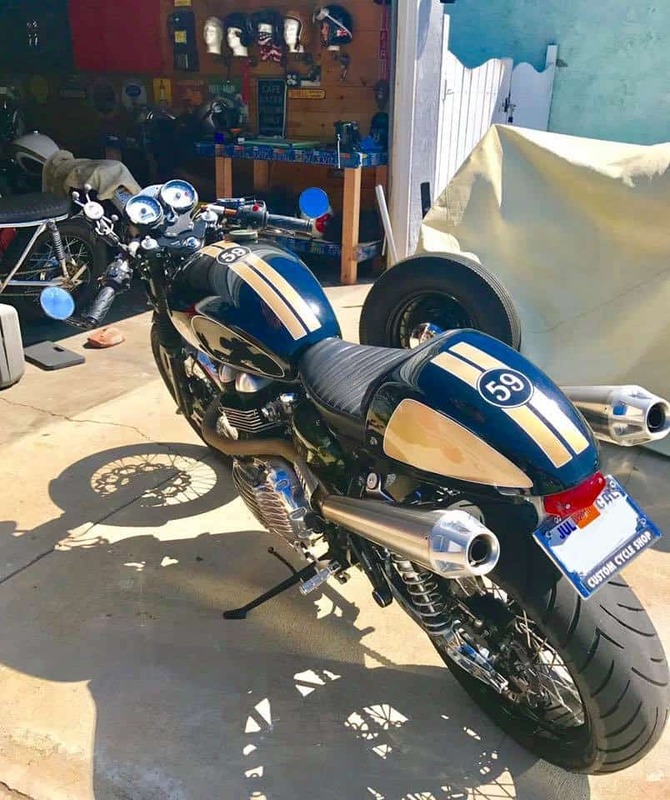 The bike will go for another configuration this year as I like to change a few things up, still in the sketching on paper in the garage process right now but I do see a few things I would like to change, for a start, those crappy Wave Rotors, did not like at all. 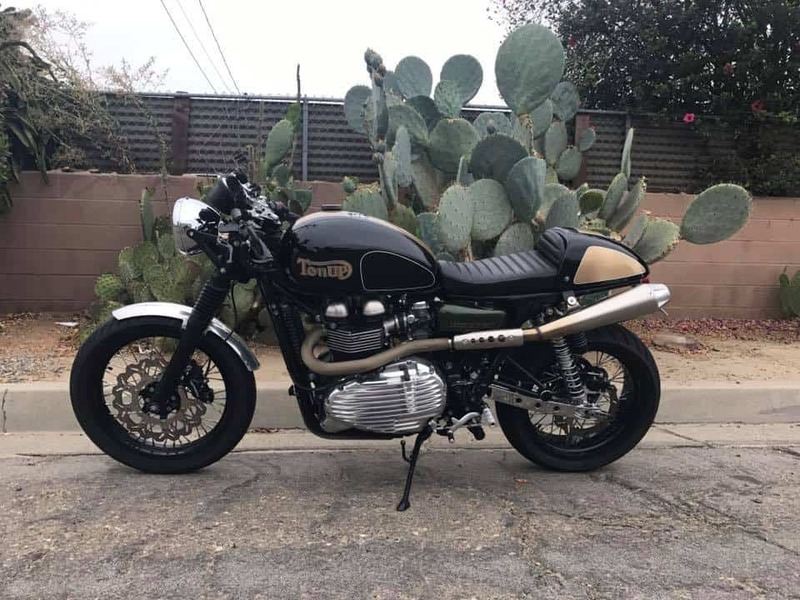 I love the Thruxton but the Brakes do indeed let it down big time, The front ones I removed and fitted a Beringer caliper and it is way better at stopping when I really need it. 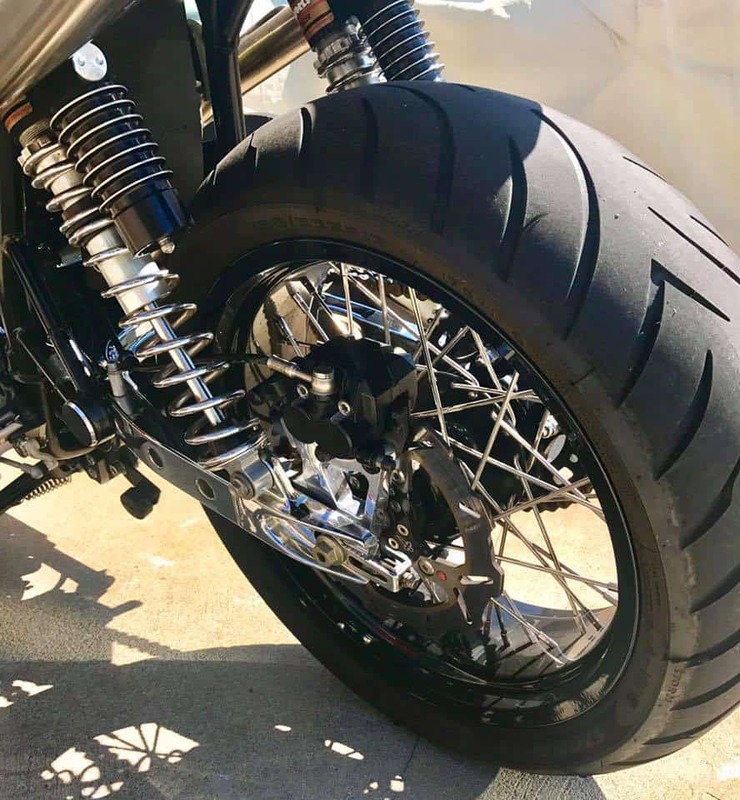 I love the pipes the way they sit and get rid of spent gases, the bike looks pretty cool and always get a thumb up at a few places, these machines are so easy to ride and as long as you keep up regular maintenance, then you are fine as they are so much improved that the original versions that I still love but do not miss the break downs. 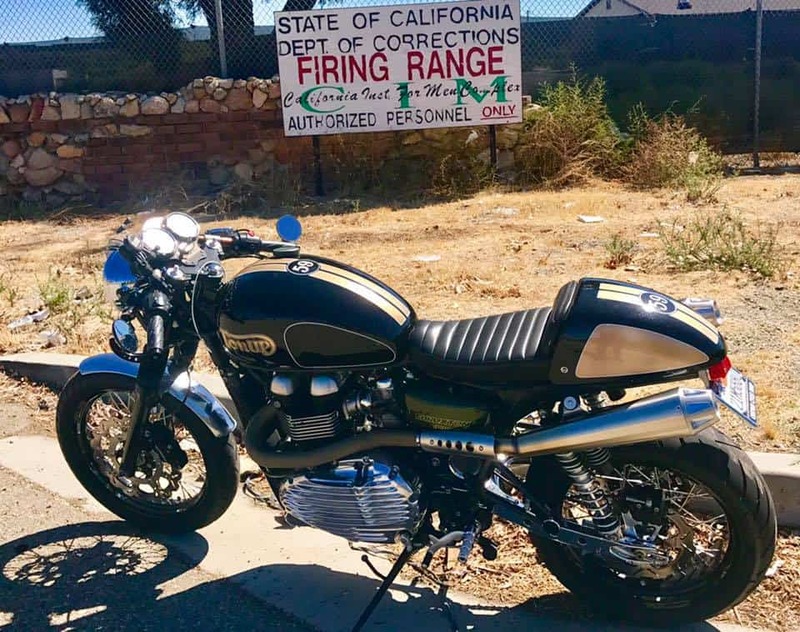 I offer quite a few parts for this machine and it’s Sister the T100, as well as the Scrambler too, all fun Machines that I love to work on or take out for a ride in these great California Canyons. 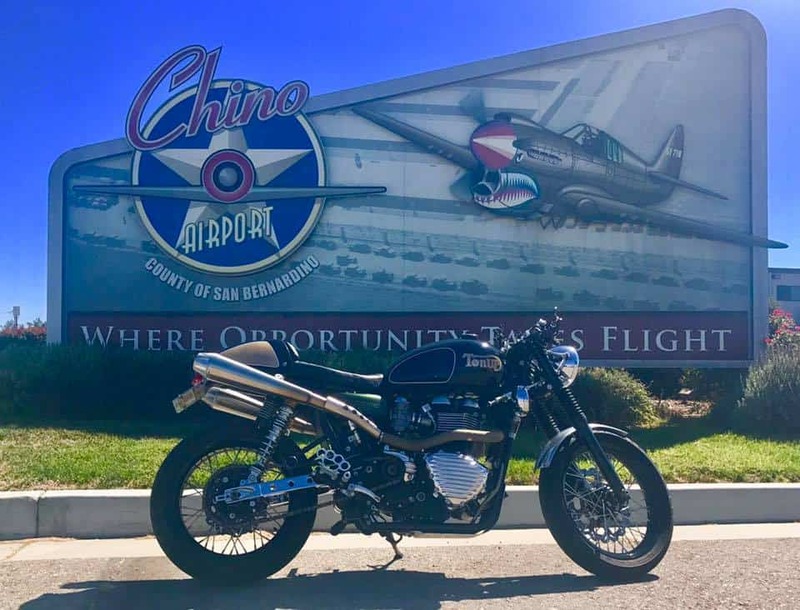 Yesterday I took the Thruxton for a trip out to Chino Air Museum, just for a little ride and thoroughly enjoyed myself, took it easy this time and took in some of the area as the countryside out there is great to look at when at a more sedate pace. 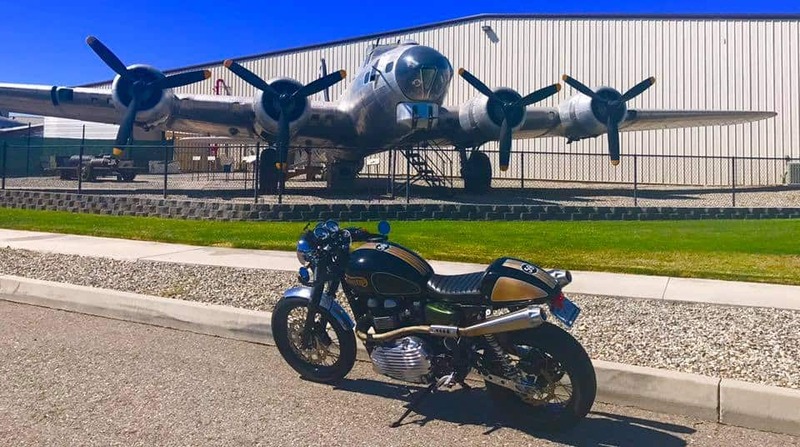 Sunday was a great day to get out, took less than an hour to get to Chino Air Museum, I didnt go inside as I want to do that with the 59 Club as it is a good couple of hours to enjoy all these marvelous aircraft of the past. 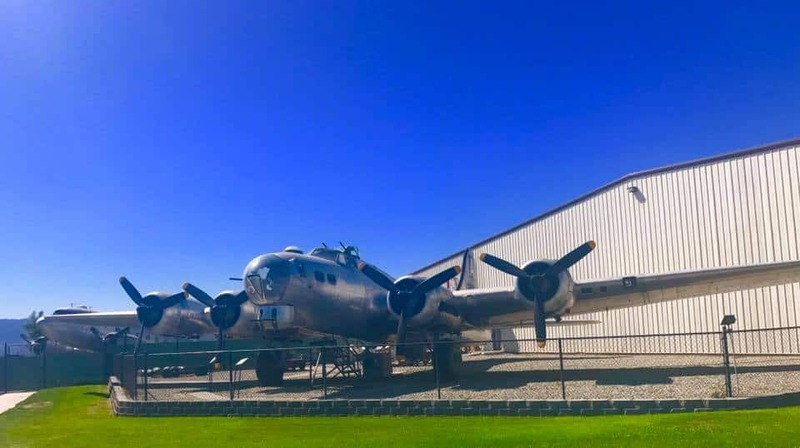 If you can get out here to the Museum, it is a super place to hang out, once a year they have the Planes of fame air show which is unbelievable and thoroughly worth the ride out. 94th Bombardment Group (Heavy) was in ww2. 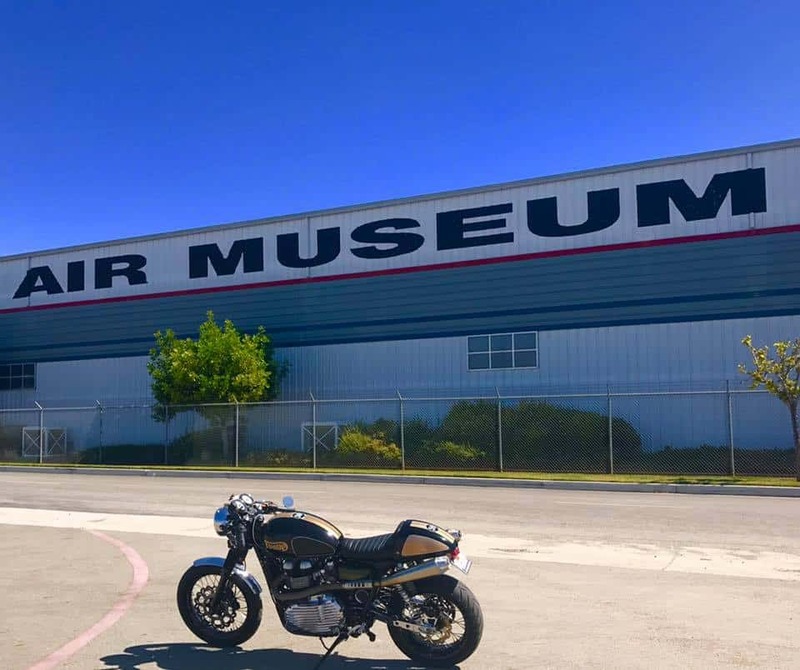 I learned to ride a Motorcycle on this very runway and it is still there today. I even drove my Hot Rod on there too and of course, where I got my American interest from a very early age. 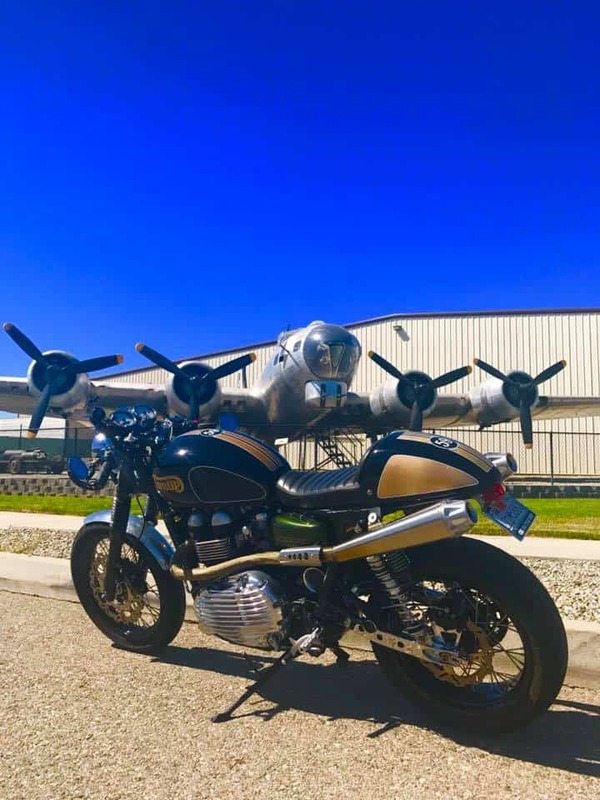 So, coming to Chino is great as there are artifacts from the very airfield that I rode on as a kid and now I am here in California with some of the planes that were located there back in 1942-45. Am epic flying machine the Flying Fortress and rightly names as it was super hard to shoot down and would take tremendous amount of damage in flight. 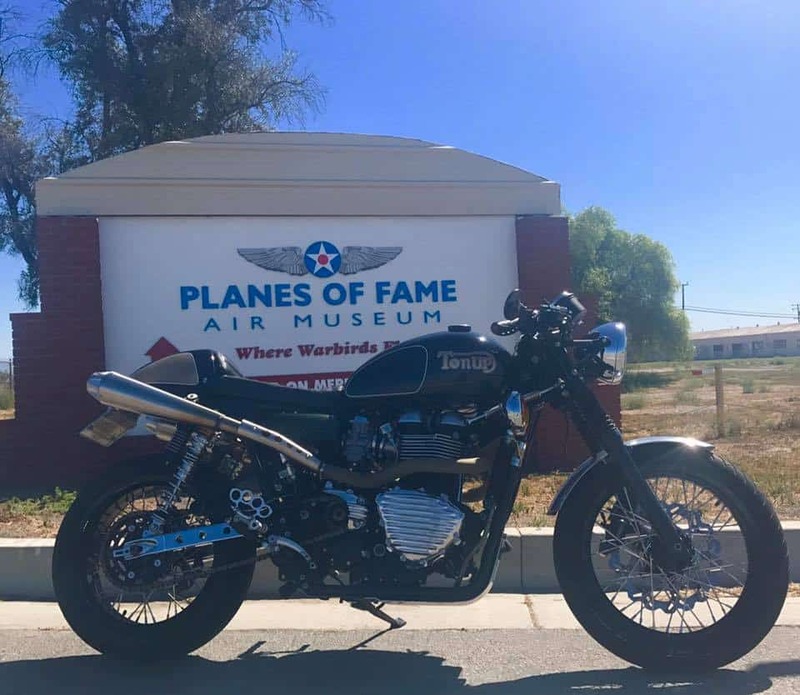 So I am always happy to ride out to this place and a little eerie feeling that the plane and I really do have a connection as we were both in the same place at different times but if it wasnt for that plane in the background, I may not be here today. 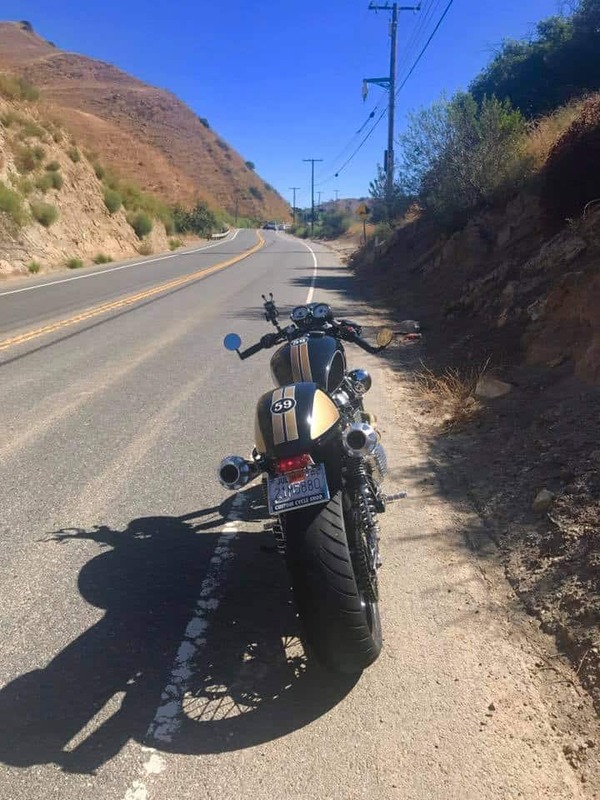 So i hung out for a little while, but it was a warm day, so paid my respects and then made my way home via the canyons again. But it will not be too long until we are all back here for a visit and eventually one day my God Son Bradley selves may take the trip from the UK to come out here as he is as mad as planes as I am. A little run around the block, just in case I missed some stuff and then back onto the Tarmac to head to my home and take my time to enjoy the Sunday at my own pace. 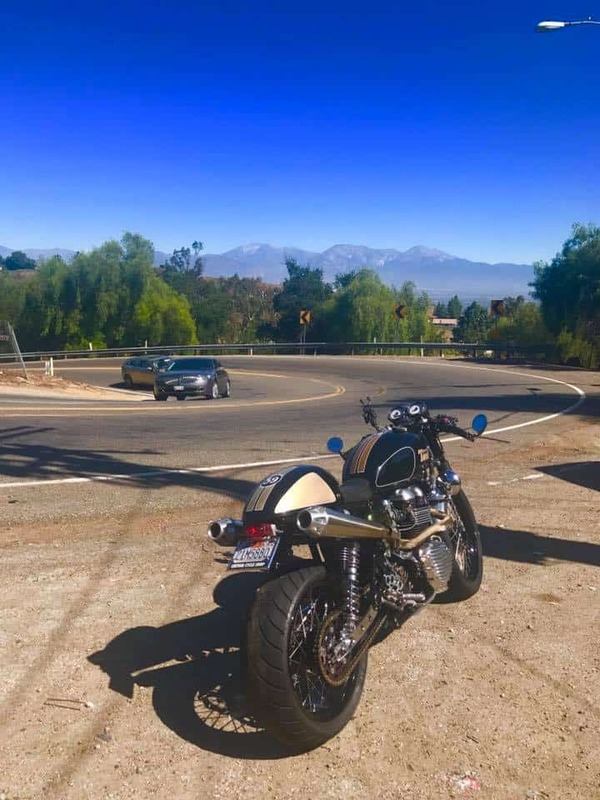 Weather was bang on and I enjoyed my ride through the canyon and stopped off to take a few shots for my Blog on here to try and show you where I go and what I get up to these days. Passing the State Of California Corrections Firing rate at a sedate speed too. Ha Ha. And so, on to the twisties and thats what I get another kick out of when there is no traffic about. 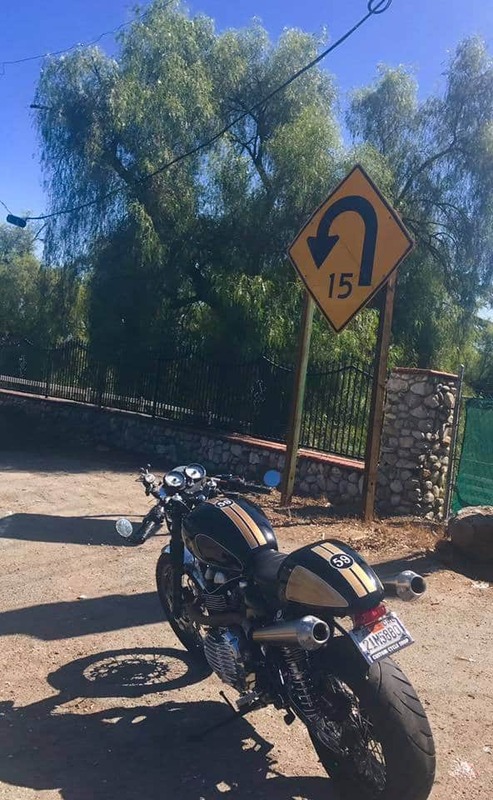 Switch backs and chicane corners are fun, as long as you commit to them, this bend was awesome as its a 15 mph limit and off cambered too as well as up or downhill, so much to take in. 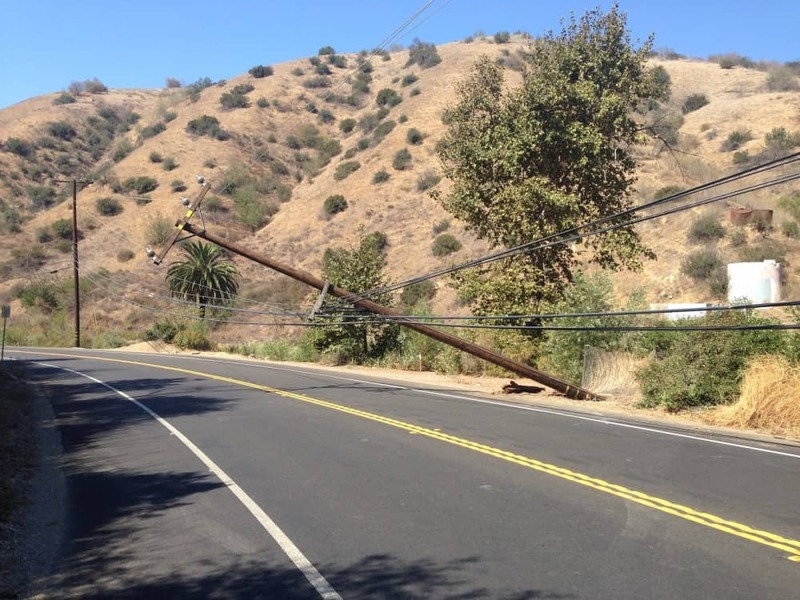 Keep your eyes peeled for traffic and of course the sides of the road as there is all sorts of debri from Branches to cans to stones, as well as hidden drive ways and footpaths, be aware. 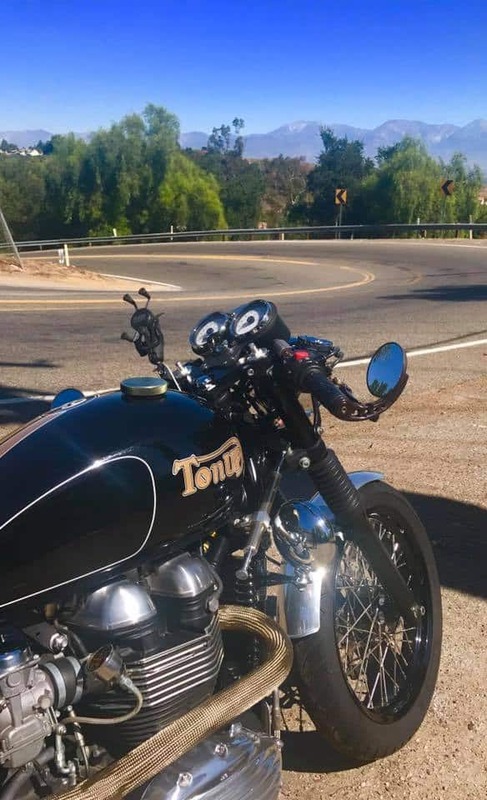 Looks easy but this is a double bend too and even sharper at the bottom as its almost a switch back and off cambered the other way, but I enjoy that and had a grin all the way there. I pulled over a couple of times just to take some of the scenery in, not great for photos as the Sun was facing me but took some to show what I was up to and you may like to have a look. 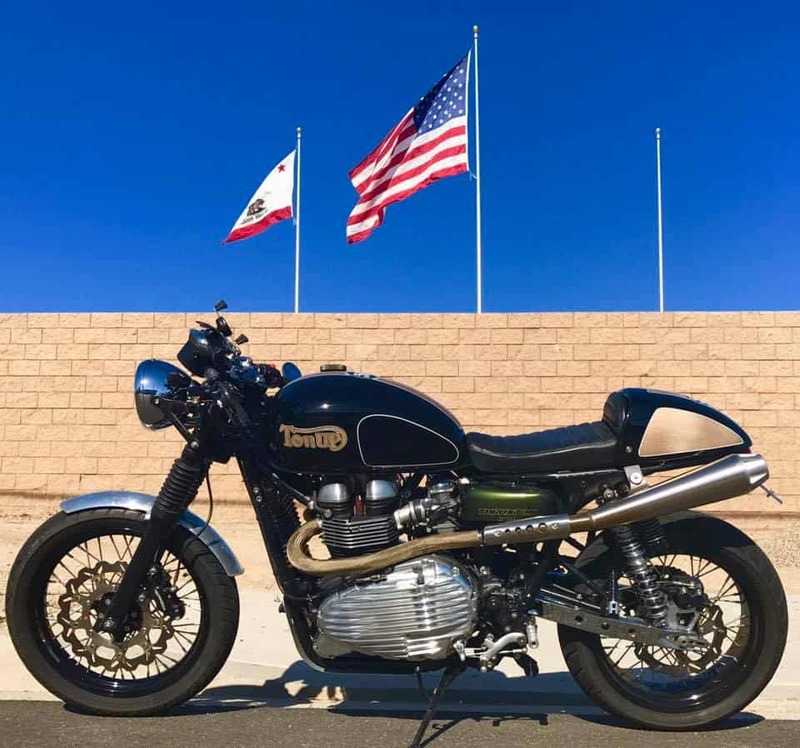 So if you can, ride as much as possible, I feel sorry for the colder climate states as they have such a smaller riding time than we do in California, as well as Canada, but I chose to move to California for that very reason, you always feel better with the Sun on your face. So hope you enjoyed my little Blog today and hope it gets you off to a better start of the day and makes you smile. But be aware of your surroundings as you really never know what may be around the next corner, look ahead all the time. Thanks again for watching and, keep an eye out for Crazy Car drivers too. 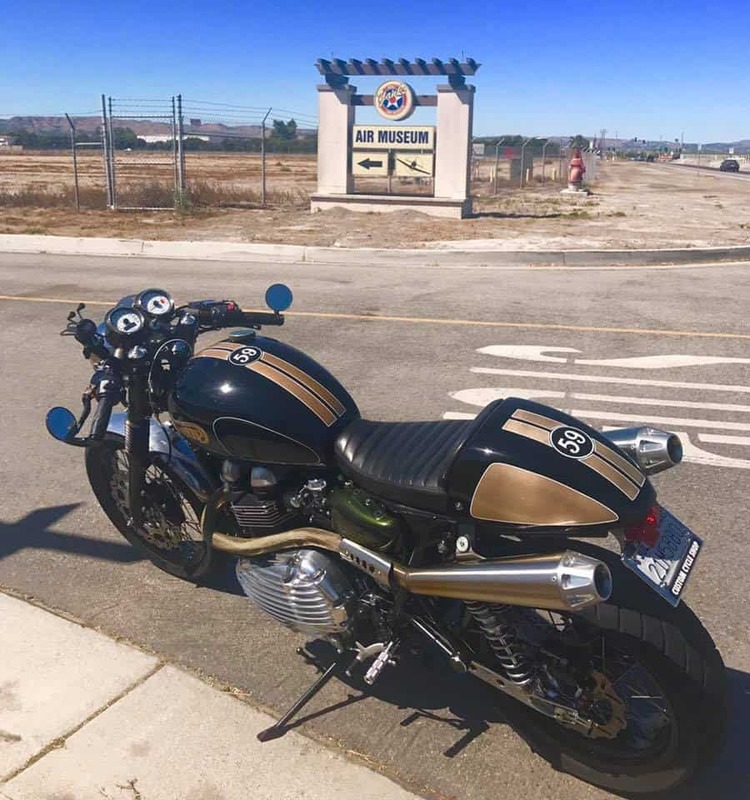 This entry was posted in Uncategorized and tagged 59 club, ace cafe, bonneville, busy bee, Cafe Rcaer, carbon canyon, Chino Air Museum, Riding, rockers, royal enfield, scrambler, smooth Tarmac, t100, T110, T120, t140, thruxton, ton up, tracker, Trident, triumph, trophy.